Ambassador (R) Alev Kılıç graduated from the Faculty of Political Sciences of Ankara University in 1968. The next year, he joined the Ministry of Foreign Affairs of the Republic of Turkey. During his service at the MFA, Ambassador (R) Kılıç served in Jordan (1972-1974) and Munich-Germany (1974-1977), at the Ministry in Ankara (1977-1979), in Germany at the Embassy in Bonn (1979-1983), at the Ministry in Ankara (1983-1985), in Bulgaria at the Turkish Embassy in Sofia as the First Councellor (1985-1991), back in Ankara as the Deputy Director General for Central Asian, Caucauses and Slavic countries (1991-1996). 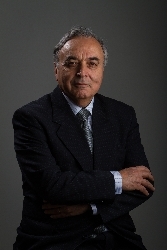 Ambassador (R) Kılıç served as the Ambassador to the Federal Republic of Yugoslavia between 1996 and 1998 and Ambassador/Permanent Representative to the Council of Europe in Strasbourg between 1998 and 2001. In 2001-2004, he served as the Deputy Undersecretary of the MFA for Economic Affairs. Ambassador (R) Kılıç again served as the Ambassador to Switzerland (2004-2009) and Ambassador to Mexican United States (2009-2011). Ambassador (R) Kılıç retired from the MFA in 2011. He has been the Director of AVİM since 2013.